Catering for all events with our in-house smoked local meats and fresh homemade sauces. All of our meats are locally sourced and prepared by us before smoking or grilling. Our homemade sauces are made using the freshest ingredients and designed to complement our food perfectly. You will also find us attending various street food markets & events throughout the week bringing you wood-smoked meats. Interested in booking us for your event? Get in contact to arrange a tasting session. 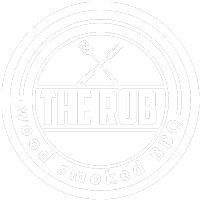 The Rub BBQ started with Harp’s love for wood smoked meats (especially ribs) and authentic American inspired BBQ sauces. His love for food and desire to replicate great flavours from his visits to stateside restaurants inspired him to experiment and create his own BBQ dry rub (hence the name), and soon it became a hobby/obsession. His mission is to bring this unique flavours to the streets with his own marinades and sauces on wood smoked meats, alongside fresh and tangy accompaniments that can be enjoyed by everyone! Locally sourced ingredients, cooked fresh for you.